The U.S. Fish and Wildlife's experimental barred-owl demolition — er, reduction — to save the northern spotted owl has begun, reports Jeff Barnard with the Associated Press. So far, 26 members of the species Strix varia have been blammoed out in Hoopa. And many more are targeted. 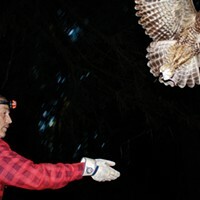 The Hoopa site is one of four sites in California, Oregon and Washington chosen by the USFWS to experiment with barred-owl reduction, according to the Record of Decision outlining the agency's controversial plan, which you can find, along with other info on the owl duel, on the agency's website. 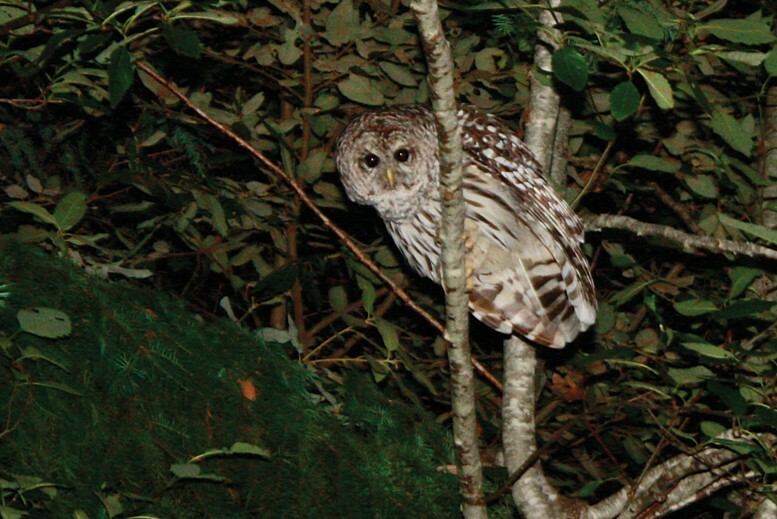 The agency notes in the decision document that while the "Hoopa (Willow Creek) Study Area is the most recently invaded, has lower barred owl densities, and higher spotted owl site occupancy," it "has shown recent declines in spotted owl nesting and site occupancy coincident with a rapidly increasing barred owl population." Readers may want to revisit former Journal writer Zach St. George's award-winning story on the barred owl/spotted owl situation, "Shooting Owls."